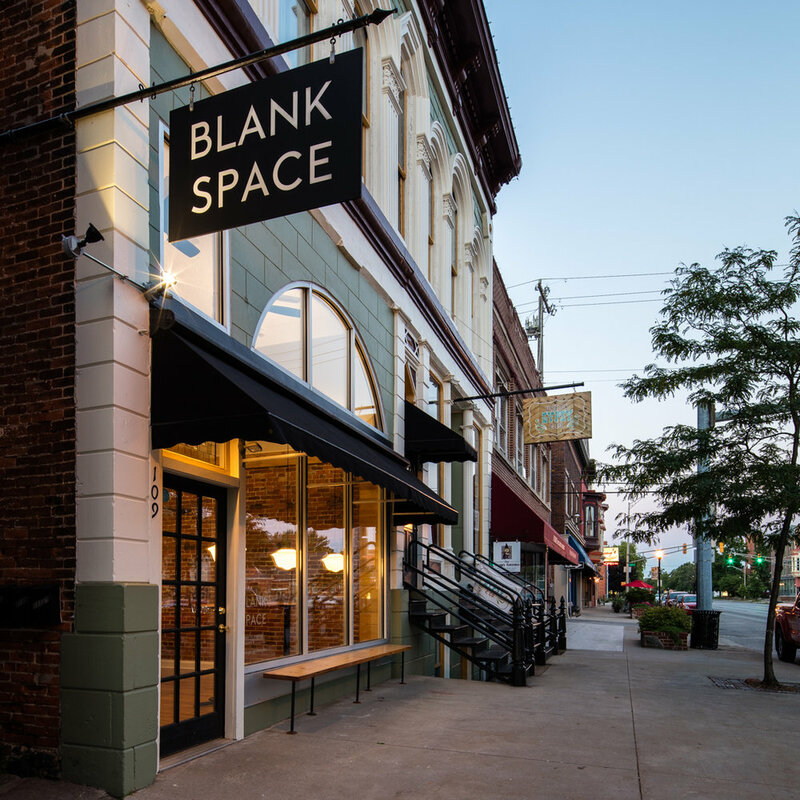 Blank Space is our sister venue located in historic downtown Goshen. It is an intimate, modern and fully furnished space, perfectly suited to rehearsal dinners (or micro-weddings!) as well as a range of other occasions. With seating for up to 40 guests, the space includes tables, chairs, use of a prep kitchen as well as a ceiling-mounted projector and sound system to which you can easily connect your laptop or mobile device. Red Tail Farm couples get 25% off the Blank Space rental rate when they book a rehearsal dinner.